Legacy Industrial's Blog Site: DELTADYE® CONCRETE STAIN makes a Big Splash with Ian from the Big Tire Garage Show! 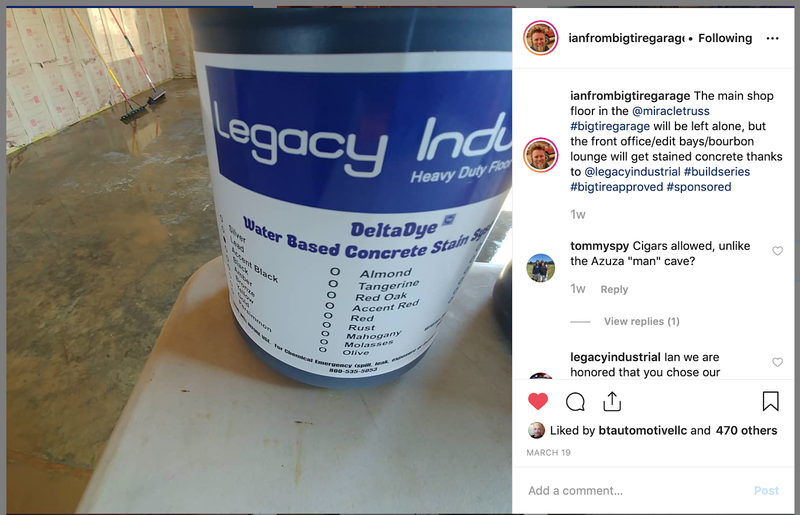 DELTADYE® CONCRETE STAIN makes a Big Splash with Ian from the Big Tire Garage Show! made a big splash with Ian from the acclaimed BIG TIRE GARAGE SHOW!! Ian Johnson is responsible for "The Off Road Chop Shop" better known as BTG!